Dr. Michael J. O’Connell, New Hampshire recently commented that the horn blowing by politicians and law enforcement over “complicity of physicians in the heroin crisis” is an attempt to affix and thereby shift blame for the recent spate of overdose deaths. The current theory goes that by ‘over-prescribing’ opioids to patients in the ER, post operatively for pain control, and in family practitioner offices for chronic maladies, that the consumers ‘become’ addicts, get ‘hooked’. This is utter nonsense, and for which there is not one shred of evidence. While an understandable layman’s intuitive conclusion, but nonsense nonetheless. Perhaps officials, governors, drug czars and police chiefs alike, are too familiar with the old model of blaming the demon alcohol for the alcoholic. To blame prescriptions for opioid addiction and Jack Daniels for alcoholism is like blaming a deck of cards for a gambling addiction. It’s like blaming malls for compulsive shopping, or restaurants for obesity. Addiction is an extremely complex condition, and reducing it to a simple ‘cause and effect’, while serving the accusers very well, does nothing to solve the problem of addiction. Addiction requires a susceptible individual (the right combination of social experience and genetic makeup), stress, and yes, availability of agent. With respect to availability of opioids, they always have been, whether by black market or by prescription or by cultivating poppies. Nothing has changed in overall availability in a century. Dr. Michael J. O’Connell, New Hampshire began the Suboxone Clinic for opioid addicts at Pinewood Medical Center in 2004, mostly as a potential adjunct to his neighboring pain management facility. Dr. O’Connell noted that they were seeing an increasing number of pain referrals from family doctors who were dependent on high dose and potent opioids. Many PCPs were more boldly prescribing opioids for their patients around that time. My fear was that these patients might be addicted and eventually require specific treatment for that. Those concerns were largely unfounded. Then and now, bona fide pain patients with real pathology account for less than 3% of all the addicts treated in our addiction clinic. While addiction clearly has its victim in the clutches, nearly all dependent pain patients are able to slowly wean off opioids, without significant cravings, relapse or blatant drug seeking behavior. At first, the clinic was treating mainly heroin addicts in the Suboxone Clinic, but soon, as prescription opioids became more plentiful and cheaper on the street, oxycodone, morphine and methadone addicts appeared for admission. By 2008, prescription drug addicts outnumbered heroin users 2:1. Between then and now however, as prescribers have become more cautious and conservative, street availability of pills has tightened, prices have risen and heroin is now the less expensive opioid of choice once again, by far. It did not take long for us in the addiction clinic to understand that while Suboxone was a great drug with which to allay withdrawal and craving, it alone did not treat addictive behaviors. Thus relapse was unfortunately common following several months of treatment. We then added well trained therapists and counselors and onsite urine testing to the clinic, transforming it into a true program, and R.O.A.D. to a Better Life was born. R.O.A.D (Recovery from Opioids, Alcohol and other Drugs) can boast of recidivism rates below 30% at the one year mark. These figures are astounding for outpatient opioid addiction treatment programs. In under five years, R.O.A.D. has grown from two facilities to now nine, scattered over the state of New Hampshire to better serve those in need. In addition to Suboxone treatment, R.O.A.D. offers solo and extensive group therapies and intensive outpatient therapy (IOP). Unlike most private addiction programs, R.O.A.D. accepts all patients with all insurance coverage (including Medicaid, which constitutes almost 40% of our patient population). Dr. Michael J. O’Connell, New Hampshire, stated that once again the state and federal governments are predictably late in recognizing a problem, and are equally adept at coming up with the wrong remedy….all at taxpayers’ expense. The eminent King Patrick, Governor of Massachusetts, today offered up $20 million to increase access to residential treatment programs for addiction to opiates. This is a joke. Residential programs (RP) are hugely expensive ($20m will not even treat 1,000 addicts), and when not tied to effective outpatient programs, RPs perform miserably. dential programs end up doing the outpatient treatment anyway. Why not skip the expensive stuff first? In addition to diverting extra monies to outpatient programs, the federal limitation of buprenorphine certified physicians to treatment of just 100 addicts is infa ntile, and undoubtedly a lingering result of the methadone lobbyists. Remove all number limits for physicians seeing addicts. Allow licensed practitioners, such as nurse practitioners, to become certified and prescribe independently of physicians; it’s not rocket science. Mandate that all outpatient addiction programs must have group therapy/IOP for all patients. This is the CORRECT remedy for the opiate addiction problem. But for CHRONIC pain…ahhh if it were only that simple. Attempts to use the same approaches as with acute pain conditions have often failed, and failed miserably in the long course. A prime example is the use of NSAIDs and opioids, two fantastically reliable drug classes for acute conditions, and in the early stages of more chronic conditions, but commence to spiral downward in efficacy as time drags on. NSAID intolerance in the form of gastrointestinal bleeding and perforated ulcers and even coronary emboli (Celocoxib), severely limits usefulness when applied for more than a few months. And once the need for opioid use has begun, NSAIDs fade into the background, and are usually and purposefully discontinued. Opioids, the epitomy of a ‘double edged sword,’ are often prescribed for years for chronic pain patients with rather sparse evidentiary support for long term daily use from the medical literature. Tolerance is the inevitable concomitant, and serves to erode the pain relieving qualities of the very drug that worked so well initially. Dependence, meaning the development of withdrawal symptoms upon discontinuation, is also an expected concomitant even with very mild/low doses (but persistently consumed) opioids. Withdrawal is perceived by the patient as evidence of the usefulness of the opioid, when in fact this withdrawal pain is only partly the patients underlying pain, but largely a “pain inflation” induced by the lack of the drug that suppresses the pain. It is easy to understand how spiraling doses of opioids for chronic pain develop, and yet also to understand the false sense of analgesia opioids provide in the chronic setting. This mechanism is hardly different from the use of beta blockers, diuretics, ACE inhibitors and other drugs for hypertension chrono/inotropic cardiac control. When the patient suddenly discontinues such medication, hypertension can quickly become malignant to the extent of precipitation of a life threatening event such as a stroke or myocardial infarction. This example serves to highlight one of the only positive features of opioid withdrawal….it is generally quite safe…supremely uncomfortable, but safe. At Paincare, 70% of referrals are currently consuming daily opioids, the great majority on highly potent agonist opioids such as oxycodone, morphine and fentanyl. Such patients are referred because the “easy” treatment of the pain (opioids) has worn out its welcome. The primary care practitioner is no longer comfortable with the increasingly higher doses needed to defeat tolerance, and prescribing for ‘early outs’ (i.e. overuse). The patient then becomes our problem. The very laborious solution to this quagmire, is to first gain the trust of the patient by continuing the regimen, then to [only] suggest a gradual wean from the opioid, then finally institute said wean. For a patient who firmly believes the opioid is “the only thing that works,” weaning is extremely difficult to institute and maintain and will often take months to years. This patient resistance can only be broken down through herculean efforts at education, counseling, and reassurance by the pain practitioner. 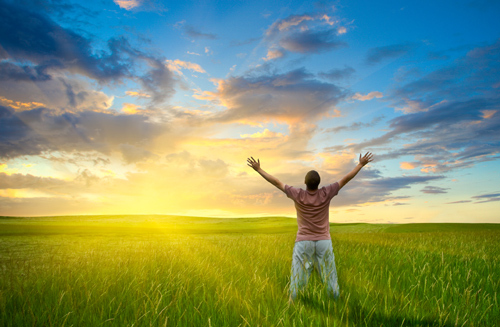 At PainCare it is found that at some point, a transition to buprenorphine is a most viable and valuable step. Buprenorphine is a very weak opioid, but an avid binder to opioid receptors. Due to the strong binding, the receptor remains occupied, thus alleviating the anxiety and physical (but largely emotional) stress of eliminating the beloved full agonist opioid (oxy, morphine, fentanyl) the patient has depended on for years. Patients who successfully make this conversion routinely feel alert, engaged with life, and are now responsive to physical rehabilitation and conditioning, occasional steroid injections, medication previously eschewed such as gabapentin, tramadol, tapentadol, and anticonvulsants. Again, the primary hurdle is establishing the degree of trust necessary to lead the patient toward this goal. None of the above should imply that all patients will comply. There will always be those who take a drug for unintended purposes (e.g., sedation for a sense of well being over analgesia). If these patients have verifiable pathology that can generate the pain that is described, they can be extra difficult to identify and transition to more appropriate drugs to treat the underlying problem. 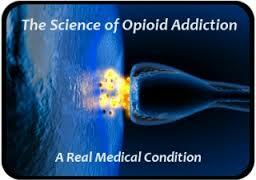 Also, the above should not imply that some chronic pain patients are simply addicts. Many practitioners make the mistake of identifying all dependent opioid treated patients as addicts. While all addicts are dependent (have withdrawal upon cessation of their drug), not all opioid dependent patients are addicts. Most studies suggest that the small minority of patients with verifiable severe pain generators are addicted. That minority grows when patients with less severe pain generators are considered. It is therefore important that general practitioners of medicine not start full agonist opioids on patients with only modest evidence of pain generating pathology. In conclusion, it is optimal for general practitioners of medicine to refer pain patients within a few weeks of continuous opioid use and allow the experienced pain practitioner to decide whether the patient requires subspecialist attention (ortho, neuro, etc.) or simple diagnostic injection with more specific definition of the pain generator, targeted physical rehabilitation with or without benefit of even temporary pain relieving blocks, viscosupplements for arthritic joints, radiofrequency lesioning of sensory nerves to pain generators, botulinum toxin for tight trigger points, spinal cord or peripheral nerve stimulation, etc. (i.e. the more advanced techniques). Dr. Michael J. O’Connell, PainCare’s CEO/Owner in New Hampshire notes that pain management is in many ways the oldest specialty of medicine with evidence of pain control through use of naturally occurring substances many thousands of years ago. Serious pain usually accompanies (and sometimes continues after) healing of wounds and tissue injury including contusions, sprains, strains, bone fractures, lacerations, nerve compression, and the like. But, for CHRONIC pain…ahhh if it were only that simple. Attempts to use the same approaches as with acute pain conditions have often failed, and failed miserably in the long course. A prime example is the use of NSAIDs and opioids, two fantastically reliable drug classes for acute conditions, and in the early stages of more chronic conditions, but commence to spiral downward in efficacy as time drags on. NSAID intolerance in the form of gastrointestinal bleeding and perforated ulcers and even coronary emboli (Celocoxib), severely limits usefulness when applied for more than a few months. And once the need for opioid use has begun, NSAIDs fade into the background, and are usually and purposefully discontinued. Opioids, the epitomy of a ‘double edged sword’ are often prescribed for years for chronic pain patients with rather sparse evidentiary support from the medical literature for long term daily use. Tolerance is the inevitable concomitant, and serves to erode the pain relieving qualities of the very drug that worked so well initially. Dependence, meaning the development of withdrawal symptoms upon discontinuation, is also an expected concomitant even with very mild/low dose (but persistently consumed) opioids. Withdrawal is perceived by the patient as evidence of the usefulness of the opioid, when in fact this withdrawal pain is only partly the patient’s underlying pain, but largely a “pain inflation” induced by the lack of the drug that suppresses the pain. It is easy to understand how spiraling doses of opioid for chronic pain develop, and yet also to understand the false sense of analgesia opioids provide in the chronic setting. This mechanism is hardly different from the use of beta blockers, diuretics, ACE inhibitors and other drugs for hypertension chrono/inotropic cardiac control. When the patient suddenly discontinues such medication, hypertension can quickly become malignant to the extent of precipitation of a life threatening event such as a stroke or myocardial infarction. This example serves to highlight one of the only positive features of opioid withdrawal….it is generally quite safe…supremely uncomfortable, but safe. At PainCare, 70% of referrals are currently consuming daily opioids, the great majority on highly potent agonist opioids such as oxycodone, morphine and fentanyl. Such patients are referred because the “easy” treatment of the pain (opioids) has worn out its welcome. The primary care practitioner is no longer comfortable with the increasingly higher doses needed to defeat tolerance, and prescribing for “early outs” (i.e. overuse). 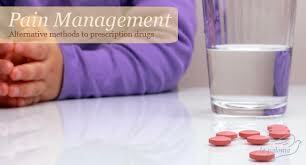 The patient then becomes the pain management practioner’s problem. The very laborious solution to this quagmire is to first gain the trust of the patient by continuing the regimen, then to [only] suggest a gradual wean from the opioid, then finally institute said wean. For a patient who firmly believes the opioid is “the only thing that works,” weaning is extremely difficult to institute and maintain and will often take months to years. This patient resistance can only be broken down through herculean efforts at education, counseling and reassurance by the pain practitioner. At PainCare, we find that at some point, a transition to buprenorphine is a most viable and valuable step. Buprenorphine is a very weak opioid, but an avid binder to opioid receptors. Due to the strong binding, the receptor remains occupied, thus alleviating the anxiety and physical (but largely emotional) stress of eliminating the beloved full agonist opioid (oxy, morphine, fentanyl) the patient has depended on for years. Patients who successfully make this conversion routinely feel alert, engaged with life, and are now responsive to physical rehabilitation and conditioning, occasional steroid injections, medication previously eschewed such as gabapentin, tramadol, tapentadol, and anticonvulsants. Again, the primary hurdle is establishing the degree of trust necessary to lead the patient toward this goal. None of the above should imply that all patients will comply. There will always be those who take a drug for unintended purposes (e.g. sedation or a sense of well being over analgesia). If these patients have verifiable pathology that can generate the pain that is described, they can be extra difficult to identify and transition to more appropriate drugs to treat the underlying problem. Also, the above should not imply that some chronic pain patients are simply addicts. Many practitioners make the mistake of identifying all dependent opioid treated patients as addicts. While all addicts are dependent (have withdrawal upon cessation of their drug), not all opioid dependent patients are addicts. 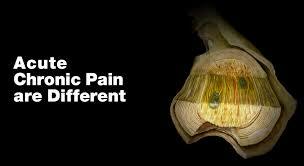 Most studies suggest that the small minority of patients with verifiable severe pain generators are addicted. That minority grows when patients with less severe pain generators are considered. It is therefore important that general practitioners of medicine not start full agonist opioids on patients with only modest evidence of pain generating pathology. In conclusion, it is optimal for general practitioners of medicine to refer pain patients within a few weeks of continuous opioid use and allow the experienced pain practitioner to decide whether the patient requires subspecialist attention (ortho, neuro, etc.) or simple diagnostic injection with more specific definition of the pain generator, targeted physical rehabilitation with or without benefit of even temporary pain relieving blocks, viscosupplements for arthritic joints, radiofrequency lesioning of sensory nerves to pain generators, botulinum toxin for tight trigger points, spinal cord or peripheral nerve stimulation, etc. (the more advanced techniques). Dr. Michael J. O’Connell, PainCare, New Hampshire, noted that for the past decade, prescription drug addiction has gradually surpassed addiction to street drugs e.g. heroin and cocaine. Opioids, benzodiazepines, and amphetamine like drugs (Adderal, Ritalin) are not surprisingly the most heavily abused, since they are all obtainable by prescription, and mimic the two infamous street drugs, heroin and cocaine. Also not surprising, patients who are prescribed opioids for legitimate pain and drugs for ADD while not generally the addicts, may be frequent ‘unintentional suppliers’ to addicts. Lost or stolen prescriptions, “borrowed” drugs, and faked prescriptions largely account for the availability of such drugs. Doctor shopping, despite PMPs (prescription monitoring programs), is still rampant. Why has there been such a swing to prescription drugs? It is always about economics; the more available, the less expensive. Prescription drugs have been increasingly available due to willingness among primary care providers to aggressively treat chronic and cancer pain. This has lead to cheaper prescription drugs. However, in response to such competition, heroin and cocaine have been selling for less now than five years ago, and both are more potent, so the pendulum may swing back to increased use of the classic street drugs soon. Treatment of these various addictions is typically difficult, marred by frequent relapses, and a comprehensive approach usually mandatory for greatest success. For uppers (cocaine and amphetamines), there are no proven effective pharmacologic approaches. For benzos, there are essentially none. For opioids, methadone and buprenorphine they are specific and effective, with a plethora of scientific studies to validate use. So, what is the difference between these two chemicals? Methadone is frequently called a “replacement” or ‘maintenance’ drug, since it is itself a potent agonist opioid. It is also capable of giving a “high” especially if combined with other drugs or if injected. 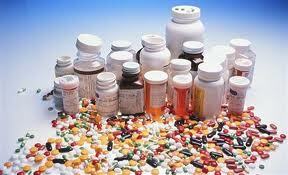 Methadone can only be prescribed for addiction if doled out daily in a methadone clinic, usually in liquid form. This is safer in one respect, in that the patient is given a known allotted dose, ingests the dose under the watchful eye of the medical assistant, has urine frequently monitored, and has access to various counseling and cognitive treatments on site. Methadone clinics are less safe in one important respect however, and that is that the entire dose of methadone is delivered once daily (methadone does have a long half life). Patients often times report feeling very high and somnolent for hours after, and most drive themselves home. Yikes! Lastly, methadone usually is continued ad infinitum, with most clinics making the calculation that it is better to have an opioid addict on methadone without cravings, than roaming the street and committing crimes to support the habit. There has been much controversy for decades over the treatment of opioid addiction. 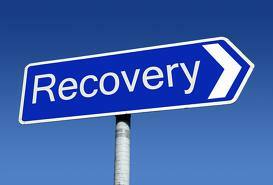 Methadone has been the mainstay, along with detox, rehab counseling and perhaps outpatient behavioral modification. Methadone has its advantages, such as low cost, and it quite effectively suppresses cravings for heroin and other opioids. The problems with methadone are numerous however, such as the need to show at the clinic daily for sometimes megadoses of liquid methadone. This is a problematic area. Even in profound addicts, methadone is so powerful that the clients become somnolent and then are released to drive themselves home, or wherever. Methadone is indeed a powerful agonist just like heroin, oxycodone, morphine, fentanyl, etc. So such psychic effects should not be unexpected, even though the somewhat slower onset of action of methadone mitigates this side effect a bit. Other very significant side effects involve pregnant methadone users, who deliver babies highly dependent on the opioid and must be routinely treated with weaning doses of an IV opioid in the neonatal intensive care nurseries, often for weeks or months at tremendous taxpayer expense. Finally, methadone is most usually considered simply a replacement therapy for heroin, etc. It is not viewed except, under rare circumstances, as a stepping stone to finally being opioid free. 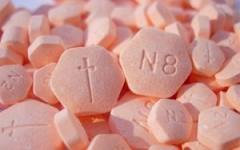 Suboxone has been touted as a worthwhile alternative to methadone. It is a weak partial agonist with a threshold effect. While methadone and other potent opioids can be taken to a point of severe respiratory depression and fairly rapid death, Suboxone cannot, unless the patient consumes with multiple other concurrent drugs such as alcohol, benzos, and other sedatives, even these cases are unusual. The relative safety of Suboxone allows for the writing of a prescription that frees the patient up from daily visits to the Suboxone center. Also, it appears to be just as effective in craving suppression as methadone, but without the somnolence and adverse effect on neonates born to addict mothers. Time spent in neonatal intensive inpatient care is minimal in comparison to methadone users during gestation – saving taxpayer monies. Naturally, the drug model of treating opioid addiction in isolation does not succeed forever, except in unusual circumstances, unless combined with appropriate psychotherapy; this can take the form of group therapies, IOPs, solo CBT, etc. There is little doubt that Suboxone treatment of opioid addiction will supplant methadone treatment eventually. The long term financial future of methadone clinics is therefore very murky at best. Dr. Michael J. O’Connell, PainCare, New Hampshire wanted to give a clear explanation as to what pain management is al about because there are many misconceptions about it. Pain management is in many ways the oldest specialty of medicine with evidence of pain control through use of naturally occurring substances many thousands of years ago. Serious pain usually accompanies (and sometimes continues after) healing of wounds and tissue injury including contusions, sprains, strains, bone fractures, lacerations, nerve compression, and the like. But for CHRONIC pain…ahhh if it were only that simple. Attempts to use the same approaches as with acute pain conditions have often failed, and failed miserably in the long course. A prime example is the use of nonsteroidal anti-inflammatory drugs (NSAID) and opioids, two fantastically reliable drug classes for acute conditions, and in the early stages of more chronic conditions, but commence to spiral downward in efficacy as time drags on. NSAID intolerance in the form of gastrointestinal bleeding and perforated ulcers and even coronary emboli (Celocoxib), severely limits usefulness when applied for more than a few months. Once the need for opioid use has begun, NSAIDs fade into the background, and are usually and purposefully discontinued. Opioids, the epitomy of a ‘double-edged sword’ are often prescribed for years for chronic pain patients with rather sparse evidentiary support for long term daily use from the medical literature. Tolerance is the inevitable concomitant, and serves to erode the pain relieving qualities of the very drug that worked so well initially. Dependence, meaning the development of withdrawal symptoms upon discontinuation, is also an expected concomitant even with a very mild/low dose (but persistently consumed) of opioids. Withdrawal is perceived by the patient as evidence of the usefulness of the opioid, when in fact this withdrawal pain is only partly the patients underlying pain, but largely a “pain inflation” induced by the lack of the drug that suppresses the pain. It is easy to understand how spiraling doses of opioid for chronic pain develop, and yet also to understand the false sense of analgesia opioids provide in the chronic setting. This mechanism is hardly different from the use of beta blockers, diuretics, ACE inhibitors and other drugs for hypertension chrono/inotropic cardiac control. When the patient suddenly discontinues such medication, hypertension can quickly become malignant to the extent of precipitation of a life threatening event such as a stroke or myocardial infarction. This example serves to highlight one of the only positive features of opioid withdrawal….it is generally quite safe…supremely uncomfortable, but safe. At PainCare, 70% of our referrals are currently consuming daily opioids, the great majority on highly potent agonist opioids such as oxycodone, morphine and fentanyl. Such patients are referred because the “easy” treatment of the pain (opioids) has worn out its welcome. The primary care practitioner is no longer comfortable with the increasingly higher doses needed to defeat tolerance, and prescribing for “early outs” (i.e. overuse). The patient then becomes our problem. The very laborious solution to this quagmire, is to first gain the trust of the patient by continuing the regimen, then to [only] suggest a gradual wean from the opioid, then finally institute said wean. For a patient who firmly believes the opioid is “the only thing that works,” a wean is extremely difficult to institute and maintain and will often take months to years. This patient resistance can only be broken down through herculean efforts at education, counseling and reassurance by the pain practitioner. At Paincare we find that at some point, a transition to buprenorphine is a most viable and valuable step. Buprenorphine is a very weak opioid, but an avid binder to opioid receptors. Due to the strong binding, the receptor remains occupied, thus alleviating the anxiety and physical (but largely emotional) stress of eliminating the beloved full agonist opioid (oxycodone, morphine, fentanyl) the patient has depended on for years. Patients who successfully make this conversion routinely feel alert, engaged with life, and are now responsive to physical rehabilitation and conditioning, occasional steroid injections, medication previously eschewed such as gabapentin, tramadol, tapentadol, and anticonvulsants. Again, the primary hurdle is establishing the degree of trust necessary to lead the patient toward this goal. None of the above should imply that all patients will comply. There will always be those who take a drug for unintended purposes (e.i. sedation or a sense of well being over analgesia). If these patients have verifiable pathology that can generate the pain that is described, they can be extra difficult to identify and transition to more appropriate drugs to treat the underlying problem. Also, the above should not imply that some chronic pain patients are simply addicts. Many practitioners make the mistake of identifying all dependent opioid treated patients as addicts. While all addicts are dependent (have withdrawal for example upon cessation of their drug), not all opioid dependent patients are addicts. Most studies suggest that the small minority of patients with verifiable severe pain generators are addicted. That minority grows when patients with less severe pain generators are considered. It is therefore important that general practitioners of medicine not start full agonist opioids on patients with only modest evidence of pain generating pathology. As addiction to various forms of opioids becomes even more prevalent, among young women than ever are presenting for delivery on methadone, heroin, oxy and other drugs. This causes a considerable nightmare for those healthcare workers administering to the newborns. 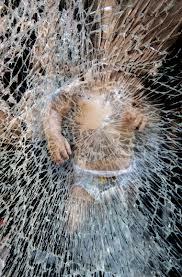 Neonatal abstinence syndrome (NAS) is the withdrawal of the baby from the drugs mom abused before and during pregnancy. The treatment for the newborn is continuation with gradual weaning from some form of opioid, often IV morphine. The process can take weeks in the hospital and costs are staggering. The treatment for the mom is less complicated and requires little additional hospital stay, but is just as unpalatable from a societal perspective. What is the common denominator? Studies would indicate that dopamine, a chemical in our brains is that commonality. The dopamine release is so pleasurable as to make us do ‘crazy’ things (subject to interpretation) to get more of it. Whatever, it doesn’t really matter. 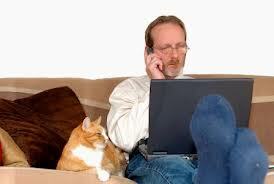 All the above activities that we would readily call addictions, are really pleasures for the addict. It is rather easy to understand the pleasure of an addiction to rock climbing (for me)…it is thrilling, daring, athletic, and enticingly dependent on solo performance, the attraction is understandable (for me). However addiction to work? How is that attractive? Addiction to vomiting and purging after a meal, how is that attractive? More difficult to comprehend is the pleasure there. However, remember that all of us are genetically and socially somewhat different. We have preferences whether they are the hobbies we like, the beer we prefer, the foods we eat, the companions we hang out with. Why on earth would we all find pleasures in exactly the same activities? Our life experiences are all different. My family and upbringing had a heavy influence on me, supportive of hard work and ‘getting ahead.’ Ambition was considered a vitamin. Pathological perhaps, but true. So my ability and desire, nah, my longing to work 12, 16 sometimes 20 hours a day, constantly thinking about work, how to improve my business…is a distinct joy for me, not a labor, or if so, a labor of love (and addiction). But tell that to my closest friends. The bulimic is famished all of the time, enjoys gorging much of the time, but above all prizes a very slim silhouette. This latter desire above all, is the driving force. The few times I have had to consume opioids, I have been nauseated, constipated, dizzy and just all around miserable. Pain relief? Yes. Pleasure, not in the slightest. It is not my drug, not my source of dopamine perhaps. But for many others, narcotics, whether morphine, heroin, or valium is just the ticket. Many drug addicts say the first time they consumed their drug of choice, they knew they had found nirvana. The first time I did an ‘overnighter’ in med school and aced the anatomy final, I was hooked. So is it dopamine or some other naturally occurring chemical in the brain that links us all together? Is it also something else? Who knows? Doesn’t matter for now. What does matter is that an addict is an addict is an addict. Only the outcomes are truly different. Hard work usually ends up earning more money (and sometimes an early heart attack), buliemia a slim profile and equally early demise, heroin Hep C and sometimes AIDS, and the stories go on and on.